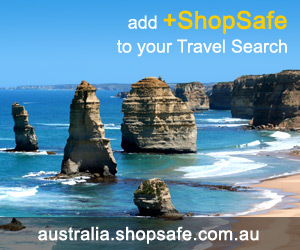 Footwear;footwear - Mens Footwear;footwear - Mens Footwear - Mens Sandals; Olukai Sandal - ShopSafe. There are 4 products in the Kona Sports > Footwear;footwear - Mens Footwear;footwear - Mens Footwear - Mens Sandals; Olukai Sandal ShopSafe Category. olukai Ohana Mens Sandals Description: OluKai Ohana Sandals. The OluKai Ohana Sandal features a water-resistant synthetic leather upper to provide you with hours of comfort, coupled with a quick-drying jersey knit lining encasing a foam backing for enhanced padding in your more tender areas. This is premium footwear, a contemporary styled orthotic shoe with a non-marking sole and anatomical support that will alleviate the pain associated with bad foot support. etc. Buy this olukai Ohana Mens Sandals today from US63.85 on the Kona Sports website. olukai Hokua Mens Sandals Description: OluKai Hokua Sandals. The OluKai Hokua Sandals were inspired by the strength of the sea - featuring versatile synthetic materials that are water-resistant, with an anatomically designed midsole for all day comfort and arch support to help reduce stress points. This modern footwear features water-resistant supple soft leather, enhanced with a compression-molded EVA footbed to provide you with personalized support. etc. Buy this olukai Hokua Mens Sandals today from US69.85 on the Kona Sports website. olukai Moko Mens Sandals Description: OluKai Moko Sandals. etc. Buy this olukai Moko Mens Sandals today from US79.85 on the Kona Sports website. olukai Kamuela Mens Sidewalk Surfers Description: OluKai Kamuela Sidewalk Surfers. The OluKai Kamuela Boot is a modern low ankle boot with a premium leather upper for tough ankle support as well as leather foxing accent on the outsole to keep a classy contemporary design going. This fashion focused practical footwear features a classic lace-up design with an anatomically accomodating round toe and durable rubber sole to take you on countless adventures. etc. Buy this olukai Kamuela Mens Sidewalk Surfers today from US149.85 on the Kona Sports website.